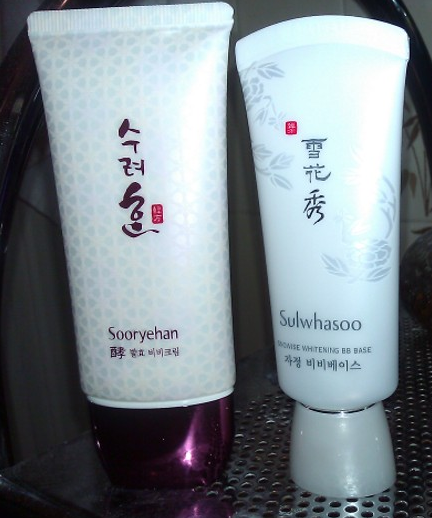 Sooryehan | May our skin grow beautiful, as we grow wiser. 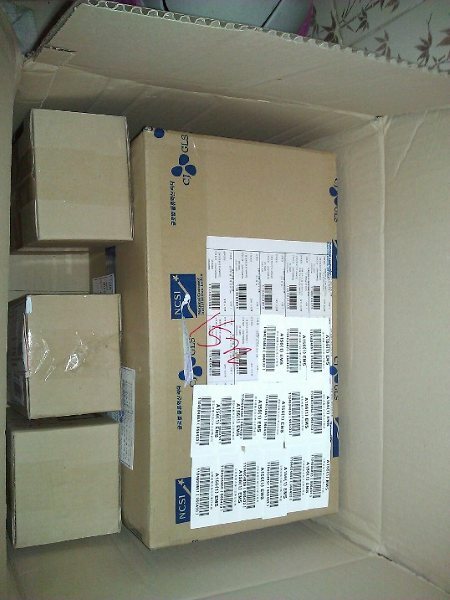 Oh yes, new items to prepare ourselves for the summer for everyone here in Hope In A Blog! 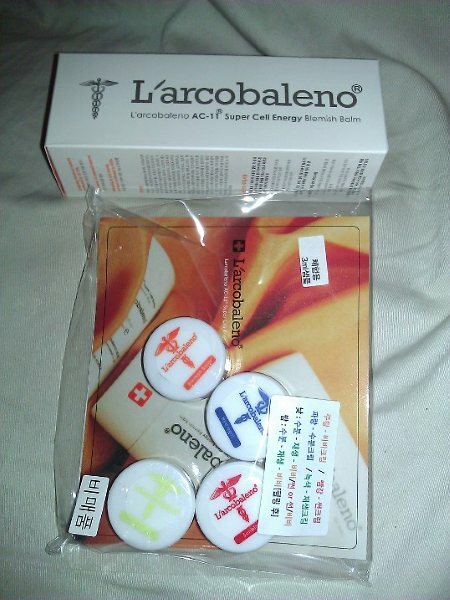 This is the new cream that came out last month form Hannule that has been receiving rave reviews! 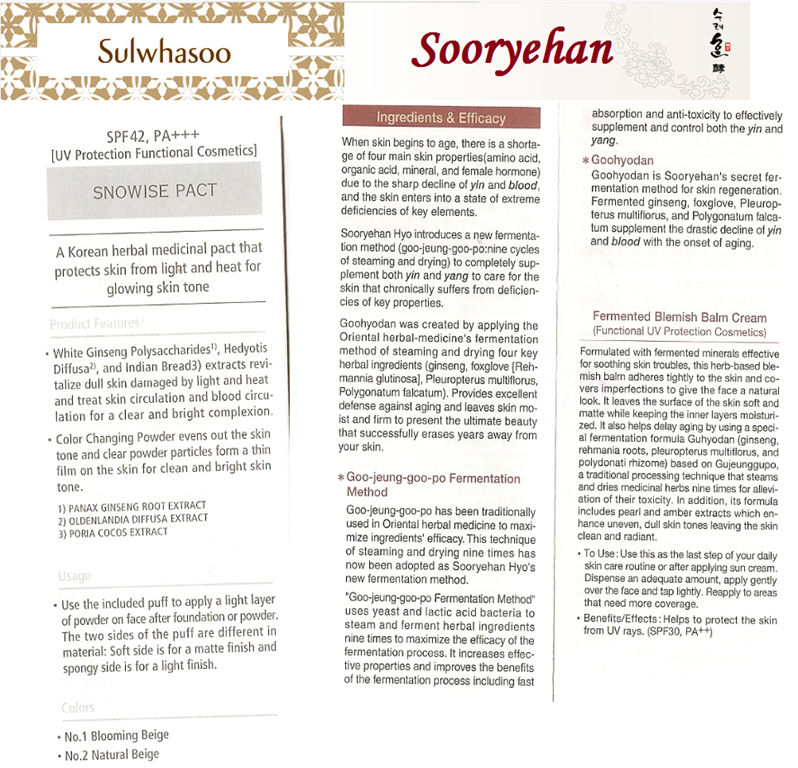 Of course, Sooryehan and Hannule are always competing head to head! Haha. 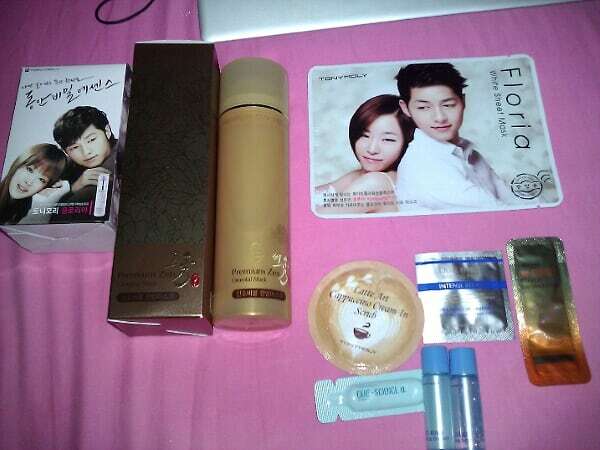 Sooryehan also released a hydrating cream – there’s 2 versions : the gel cream and the normal cream. I gotta say this was absolutely a steal! 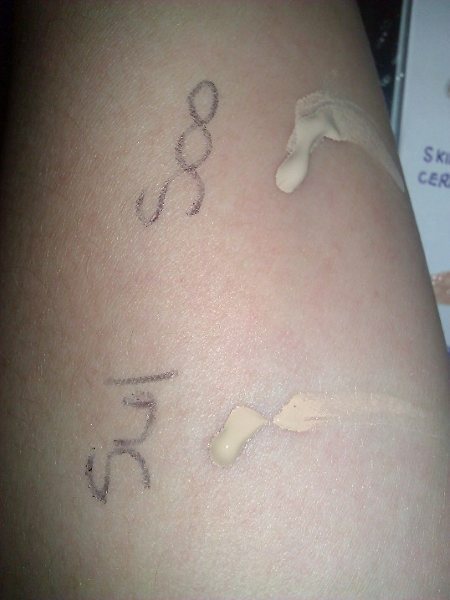 Not only the cream is 60ml, but they included a 25ml cream too!! 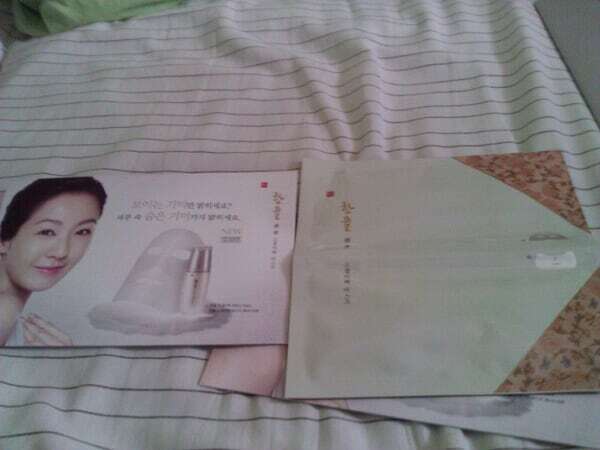 And of course, LG are always super generous with the free samples that come with it. The packaging is absolutely gorgeous too! We’ve been loving the White Extreme line lately, so we’re trying off other stuff from the line to see if it lives up to expectations too! 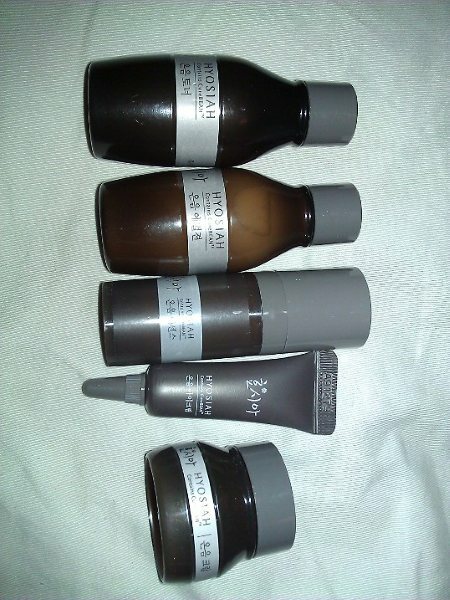 The packaging seems to be different from the make-up base. I was expecting that nice packaging of the illuminating base. 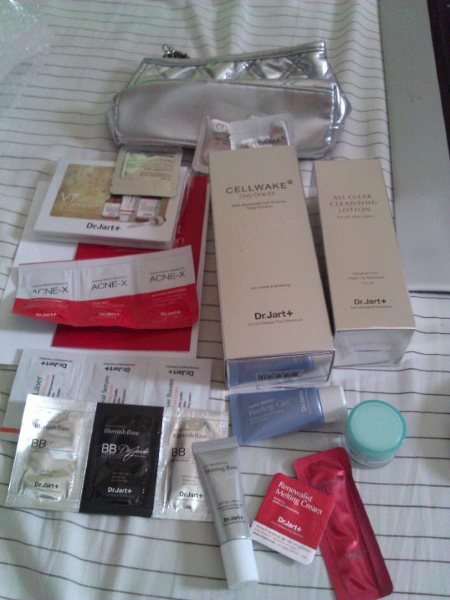 Oh well, at least some freebies are included. 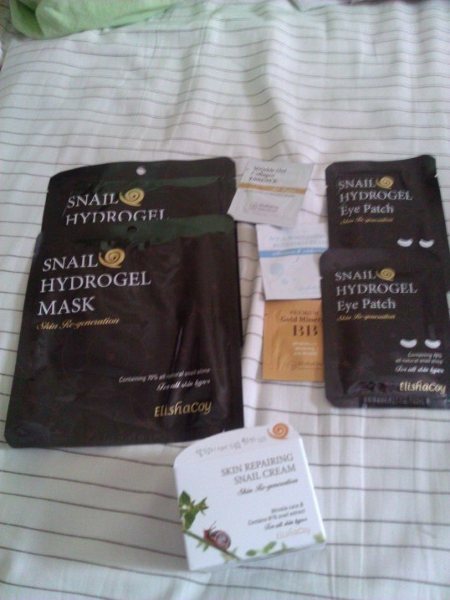 We’ve been hearing good stuff about this mask… and it was on promotion so why not? 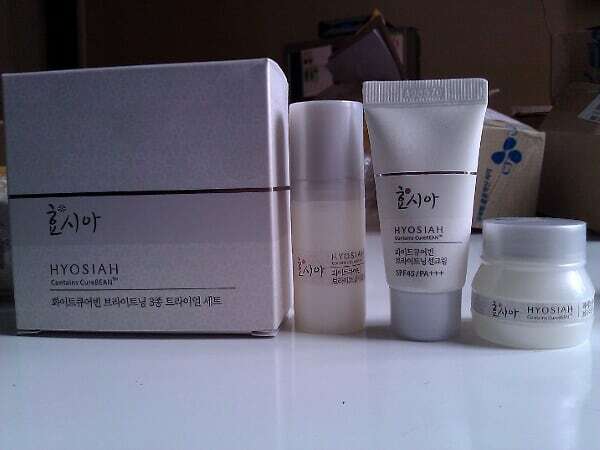 Wanted to see how IOPE won all the major awards at the 2010 Korean Cosmetics Award, so we’ve been trying some of their stuff. 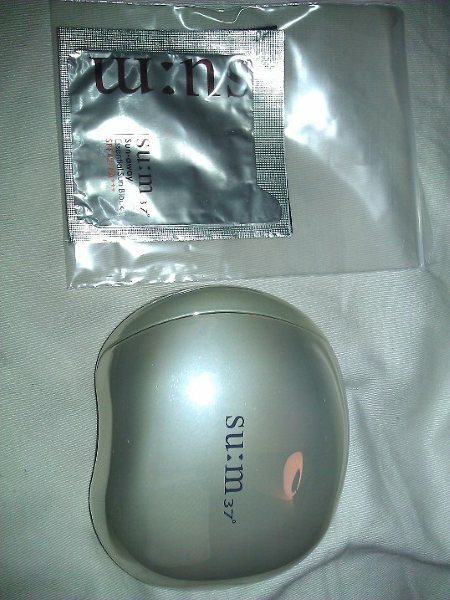 This whitening line is so rich, so if you have oily and combination skin, don’t purchase this! 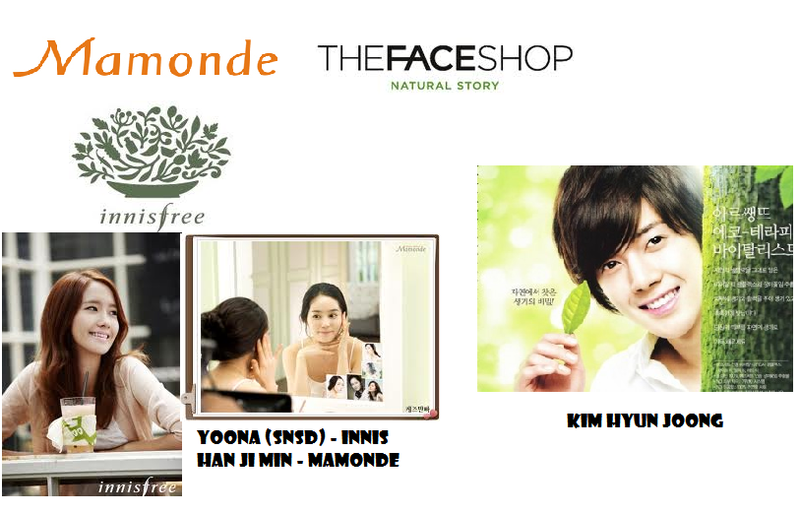 Hannule is a really good brand by Amore Pacific that our blog has been trying to push^^. 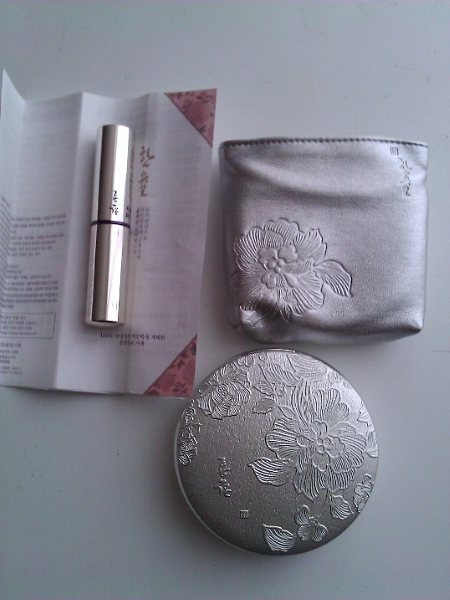 The packaging is lovely, and we can’t wait to test this out! 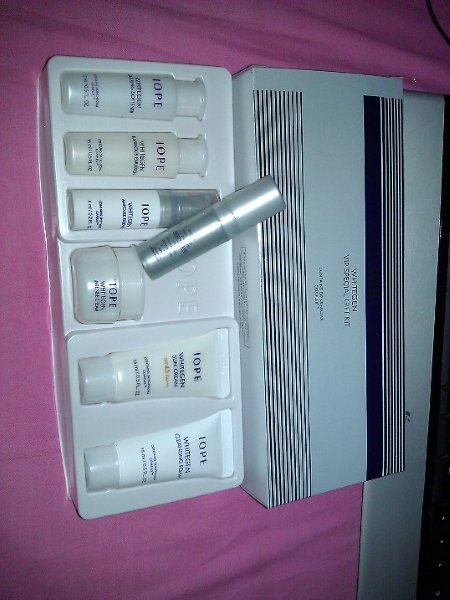 This came free with the hydrating gel cream we bought. It loooks like the real product doesn’t it? 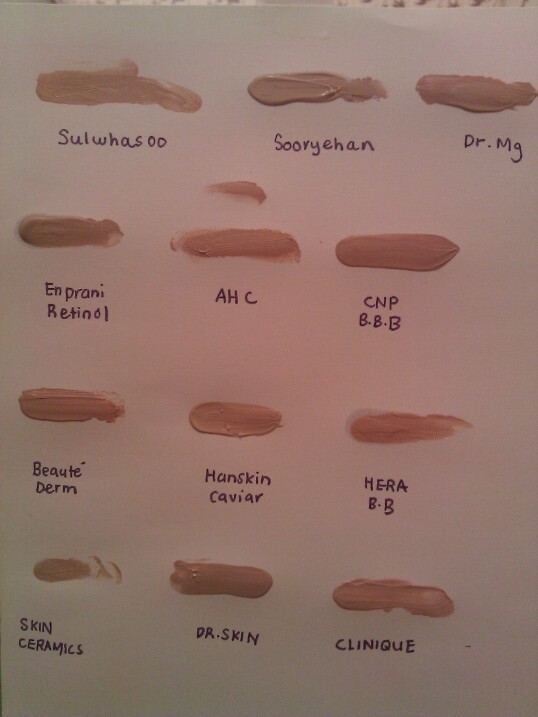 It’s just a 15ml sampleeee! Haha. Sigh…. take my breathe away. The History Of Whoo, gorgeous as always. 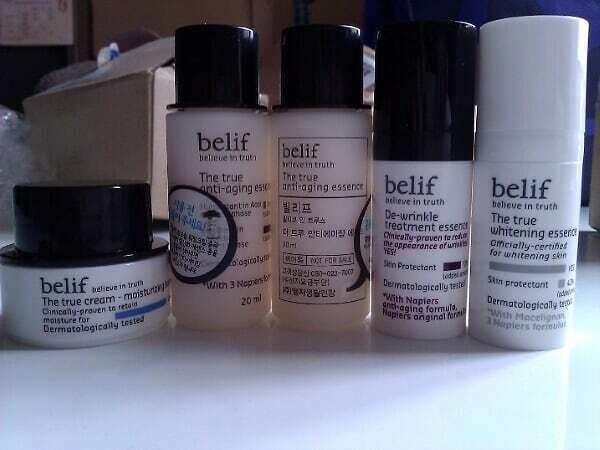 A few of us have been enjoying the Re:NK Cell Luminous line, so we wanted to try other stuffs from the brand. I don’t know why they included the toner and emulsion from the moisture line when the Time Lab line has its own toner and emulsion too! Amore Pacific’s answer to LG’s Su:m 37. 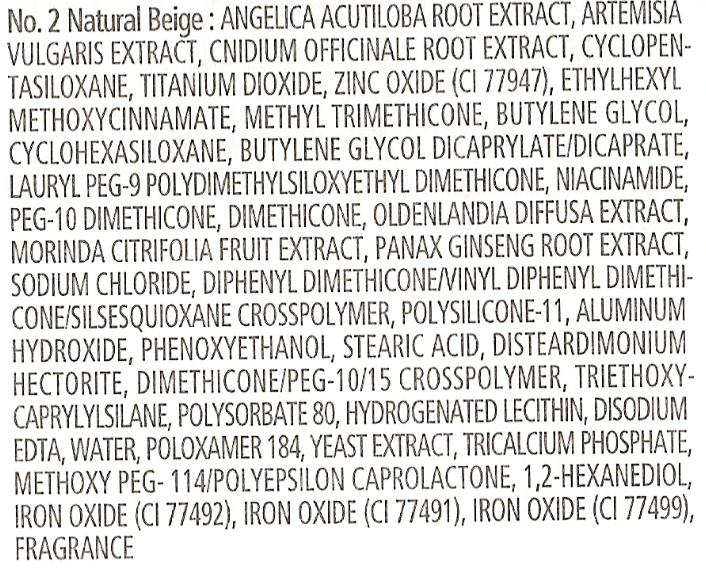 They recently released a whitening and cleaning line, so we can’t wait to see how it compares to Su:m37 ! A two overlapping layer mask that is concentrated in rich whitening essence to deliver a rapid yet effective whitening effect while moisturizing the skin. 1. Place the first layer ( smaller piece with the two holes for the eyes ) on the upper face. 2. Place the second layer ( huge layer with mouth piece ), some of it will overlap the first layer. There will be three layers – a plastic area, a gelatine area, and a fabric area. 2. Place GELATINE area ( the thicker one! ) on your skin. 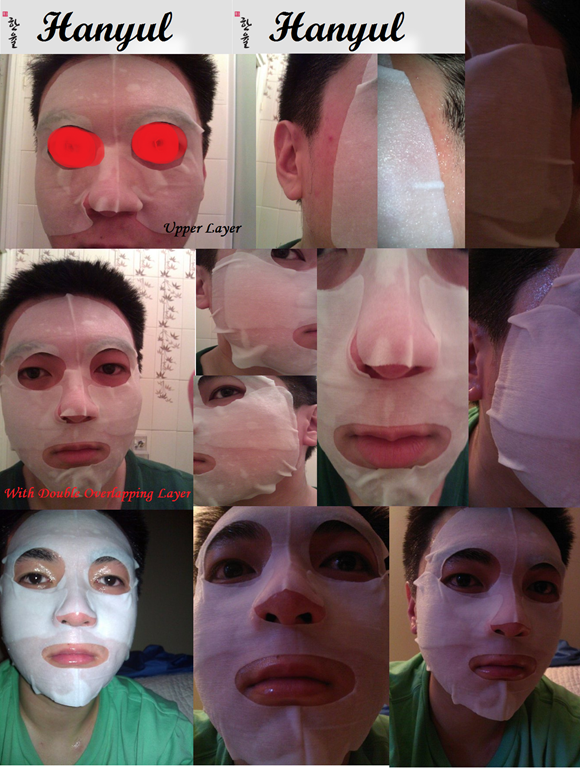 The mask has two layers that overlap each other at the eye- cheekbone area. 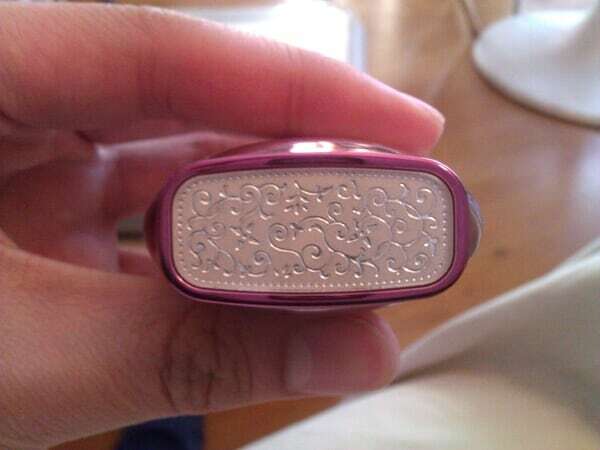 The 2nd layer is huge and covers the entire jawbone. 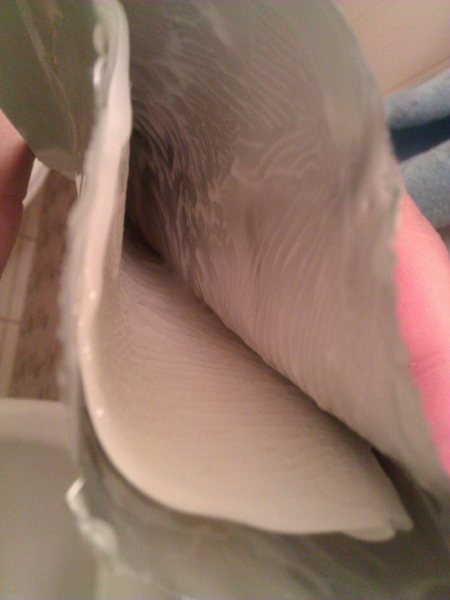 Both layers are packaged in two different sections – making it more convenient ! I really like fabric cloth, it feels nice on the skin. The smaller upper later is a little smaller in size and it may be too small to wrap your entire face, but after layer the huge 2nd layer, it covers up the whole face pretty well. 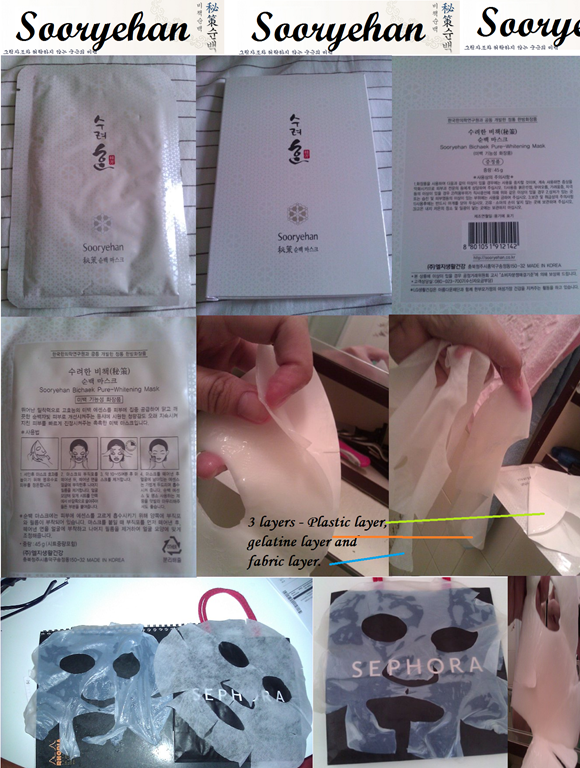 The Sooryehan mask has three layers that are stuck together, the plastic layer is removed and the gelatine layer is placed on the skin. This feels less comfortable than the Hannule mask as i prefer Hanyul’s fabric which feels more comfortable. The mask design also loses out to Hannule – it covers less than the Hannule one and if done wrongly, it will be quite a mess. Initially, i wasn’t sure of the instructions at all, so i separated the two layers ( gelatine and fabric ), and i didn’t know which side to place on my face. I finally chose to use one layer – the very thin fabric area, and it felt weird. Luckily, LG responded to my messages and gave me the correct instructions – that the Gelatine layer is to be placed on the skin and the fabric layer on top of the gelatine layer. 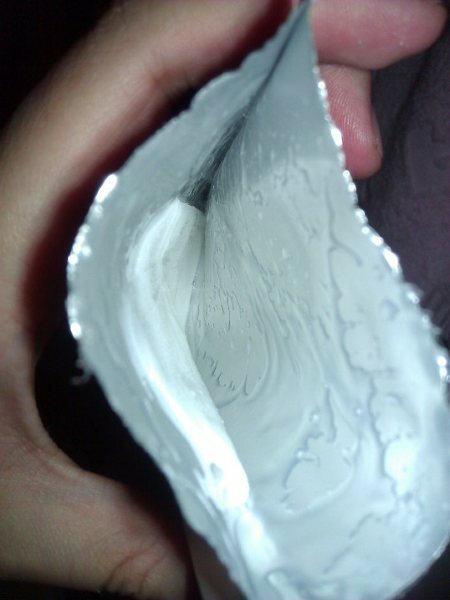 I still don’t know the reasoning for having two layers – even more so a gelatine layer which doesn’t absorb anything ! The mask definitely doesn’t fit as nicely as the Hannule one especially on the nose and chin area. 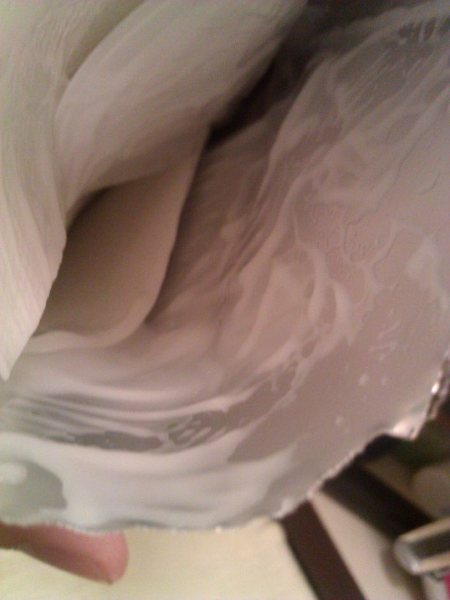 The Hannule Mask has a very concentrated liquid essence, and it smells absolutely delightful. 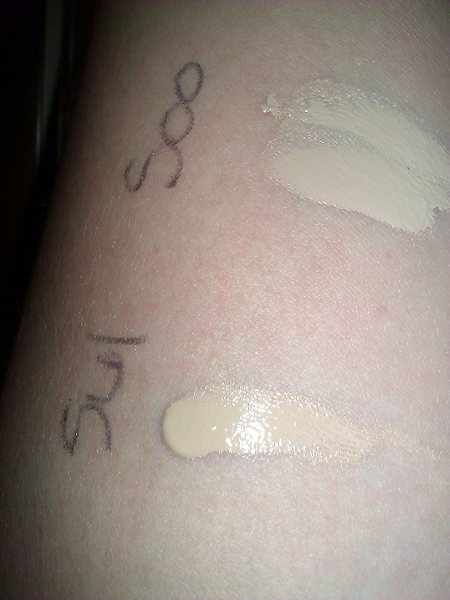 I really like the scent of Hannule’s whitening line. 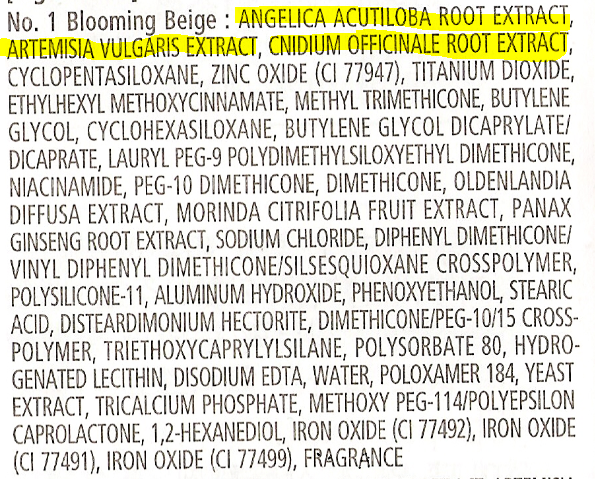 There will be leftovers in the packet so make sure you squeeze every ML of it and apply it onto your mask ( or hands, neck, etc ). However absorption rate is slower than the Sooryehan. 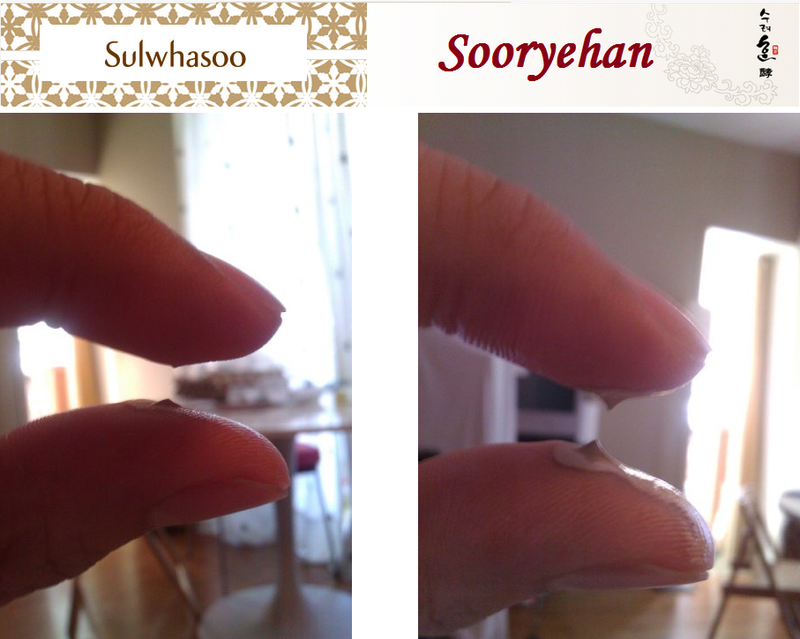 The Sooryehan Mask has this very thick gel-ish texture and the white colour is more evident here. 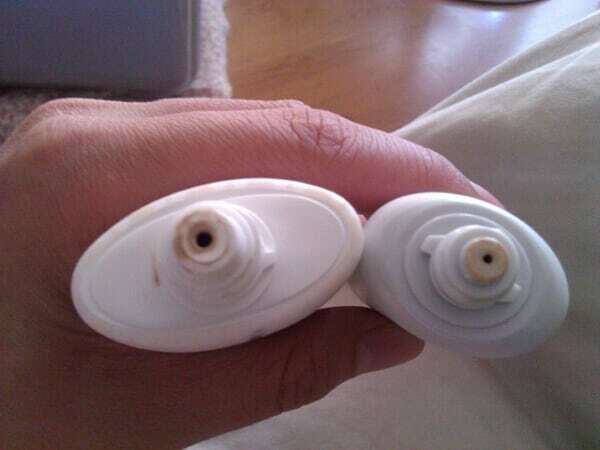 After removing the plastic layer ( the one that isn’t used ), make sure you don’t waste the essence that is stuck onto the plastic layer. This surprisingly absorbs faster than the Hannule one. 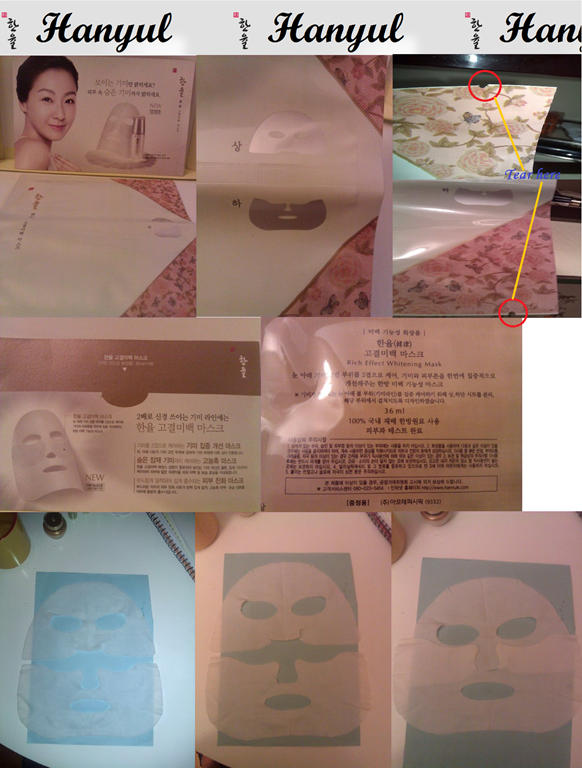 We prefer Hanyul’s mask fit, design and texture. It feels more comfortable on the skin and it covers the whole face very nicely. 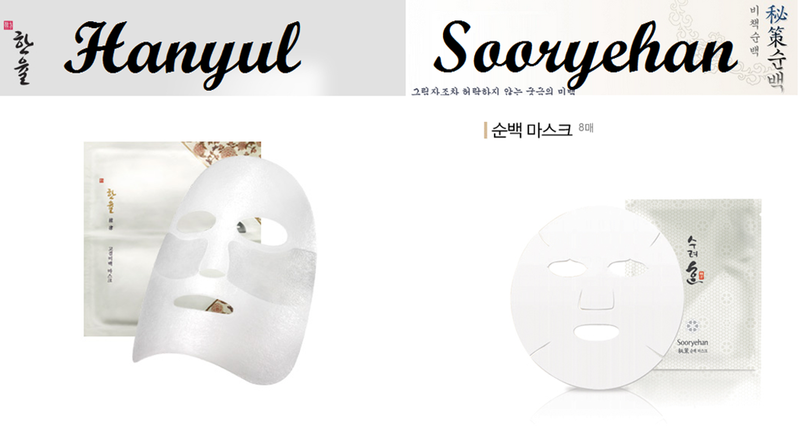 Hanyul’s mask texture feels very comfortable on the skin while the Sooryehan gelatine texture was not as homely and comforting as the Hanyul fabric texture. 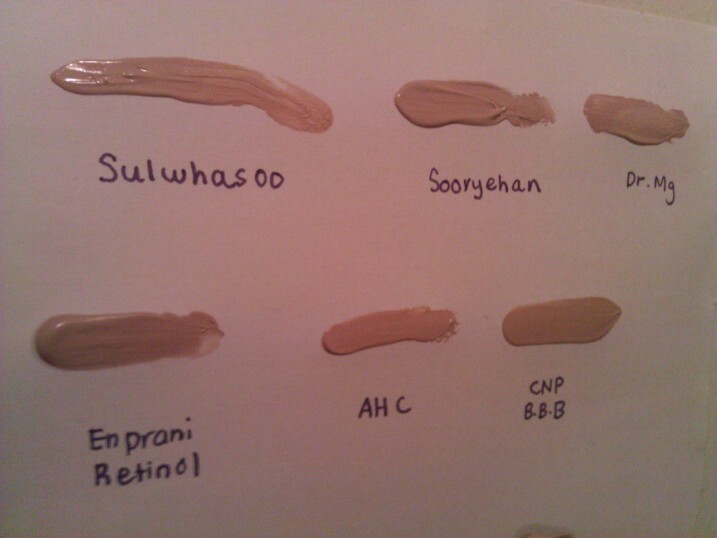 Hanyul’s mask essence also feels more concentrated and liquid, therefore application is easier as opposed to Sooryehan’s thick gel texture which is harder to handle. However, the hanyul mask essence is rather sticky. Sooryehan wins hands down ! 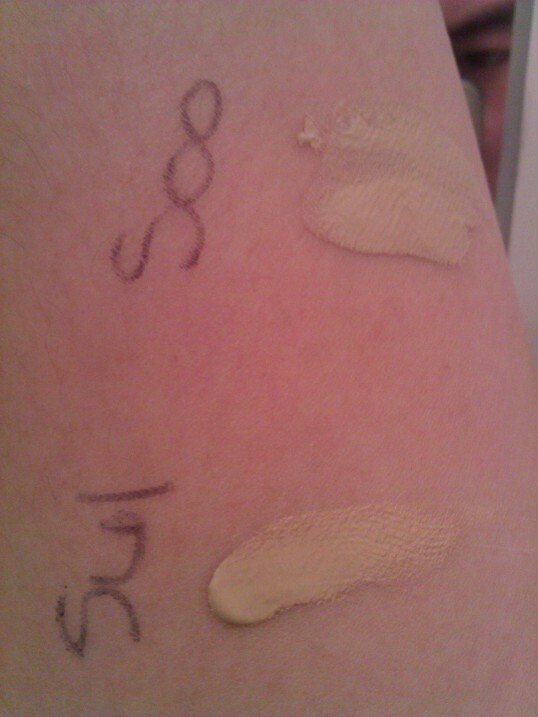 I applied both masks ( different days of course ) and left it for 30 minutes. 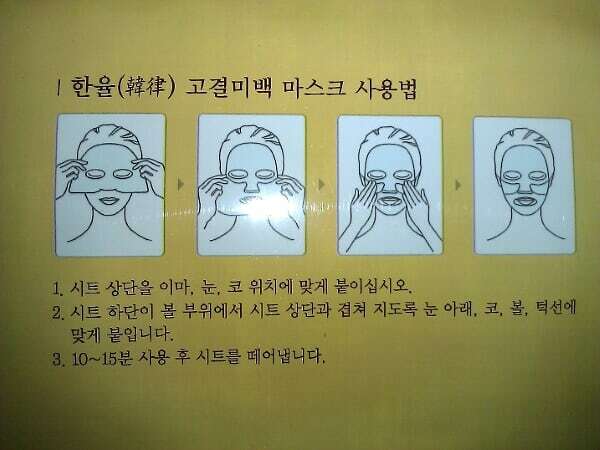 After 30 minutes, i tried squeezing the mask to check how much essence has been absorbed into the skin. 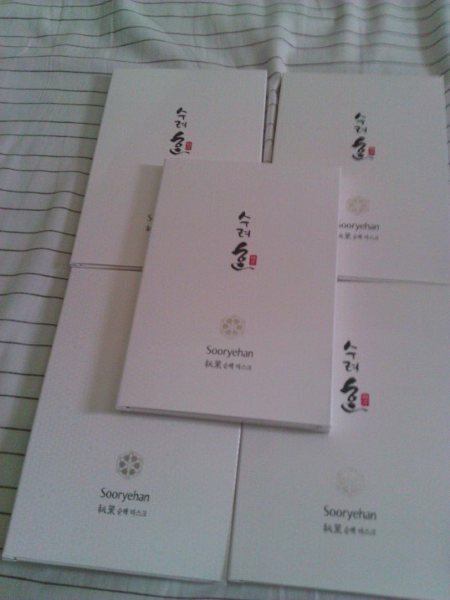 With the Sooryehan, the mask was almost dry by then and there was nothing left that could be squeezed. However, with the Hanyul mask, so much more essence was left. 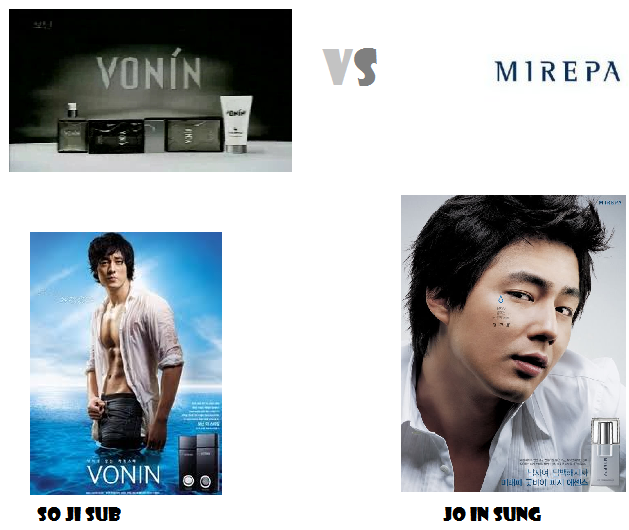 Both of them have rather good whitening effect. 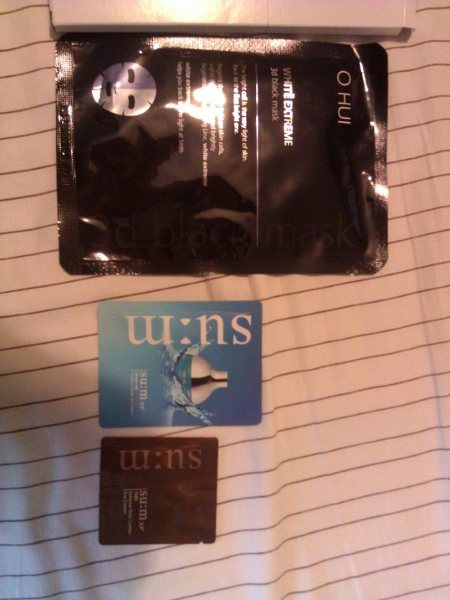 I felt that the OHUI White Extreme 3D Black Mask produced better results than both. 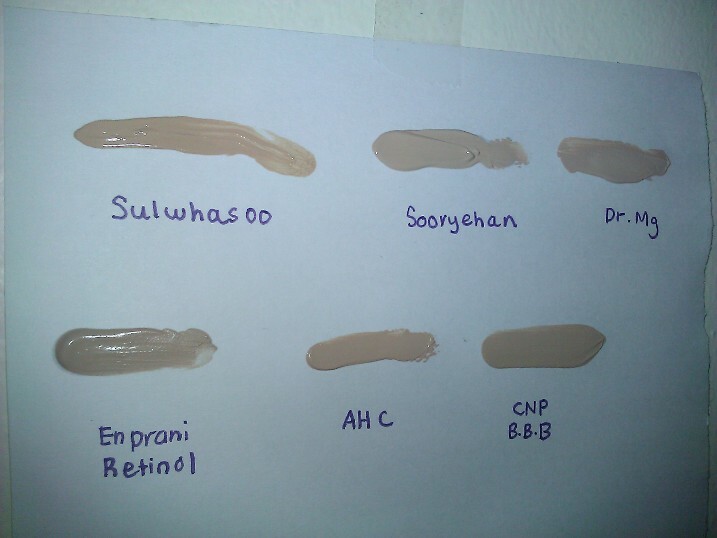 If i had to pick one, i think Sooryehan’s whitening effect was a little more obvious in front of the mirror. 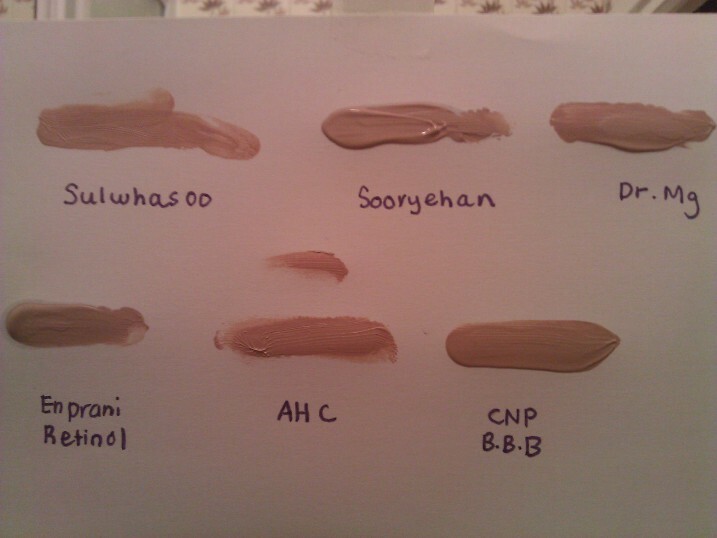 But both leaves the face very radiant and brightens up the skin tone. 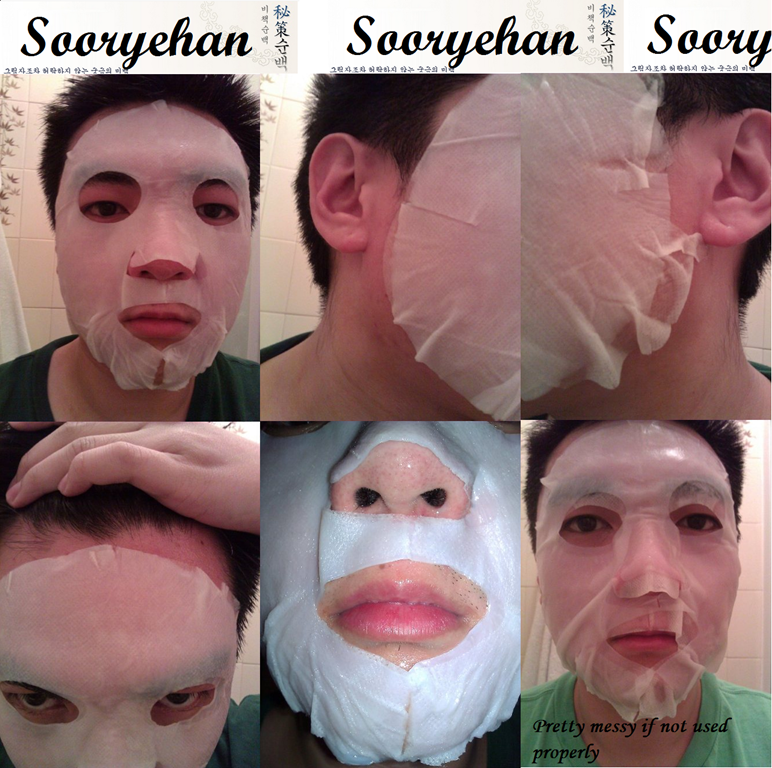 Another thing is that i believe that the Sooryehan mask contains more alcohol as i felt a little burning sensation while using the mask, but it was only because my skin was peeling quite rapidly for the past 2 weeks. Those with normal skin, i don’t think you would feel anything. 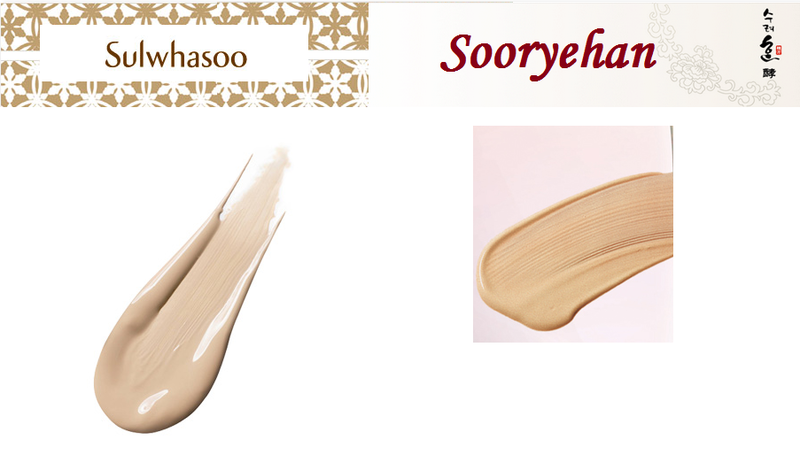 The after feel of the Sooryehan mask was much better as much of the essence was absorbed by the skin. I can follow up with my skincare routine straight away after the mask. 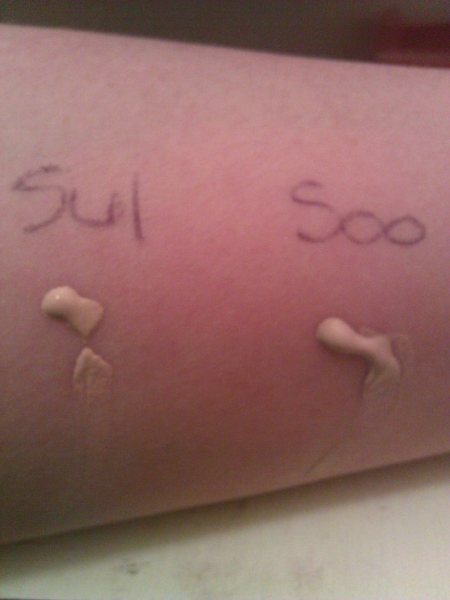 With the Hannule one, there was still a lot of essence just sitting on top of the skin. 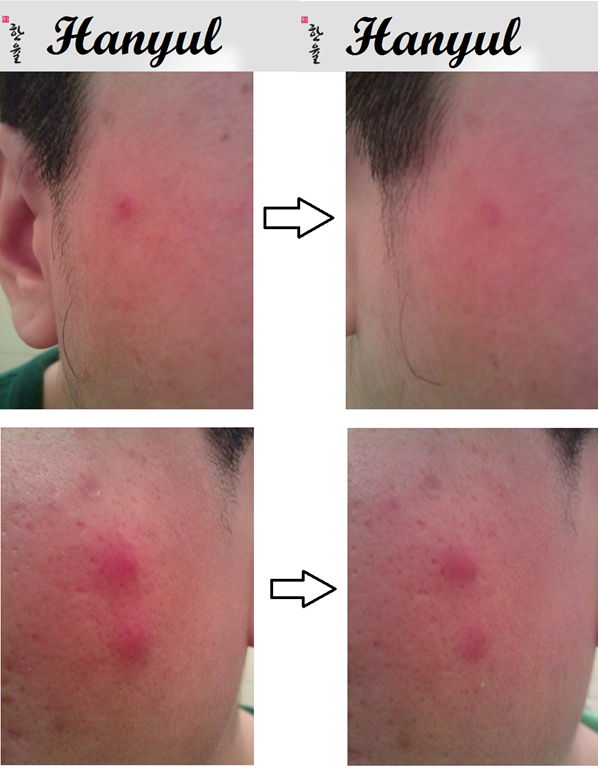 Therefore, it felt very sticky and i could not follow up with my normal skincare routine right after the mask because it was too sticky and concentrated. So i had to rinse my face with warm water before following up with my normal skincare routine. 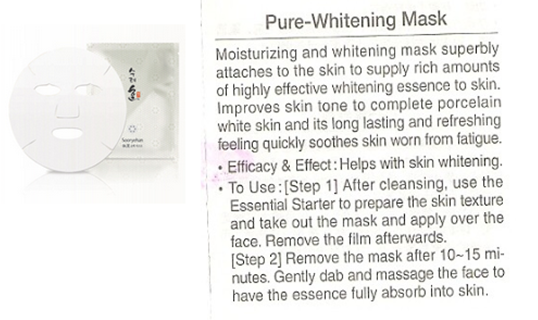 Hanyul Rich Effect Whitening Mask – 70% – I’d use this during winter, when my skin is dry. This mask has a rich effect like it’s name – and would be very comforting for winter use. The only drawback is it’s absorption rate. 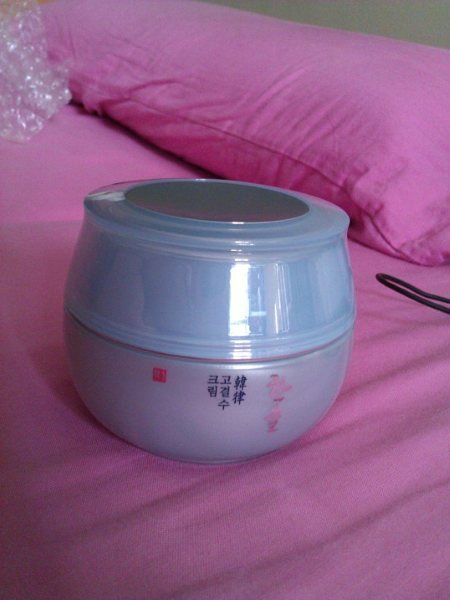 However, it still delivers by giving you a very moisturized, plumped up radiant skin. 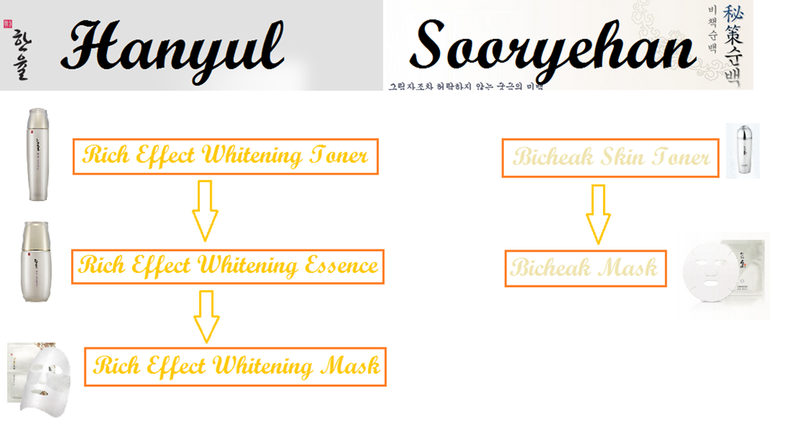 Sooryehan Bichaek Pure Whitening Mask – 80% – This would be suitable for everyday use or during hotter days. 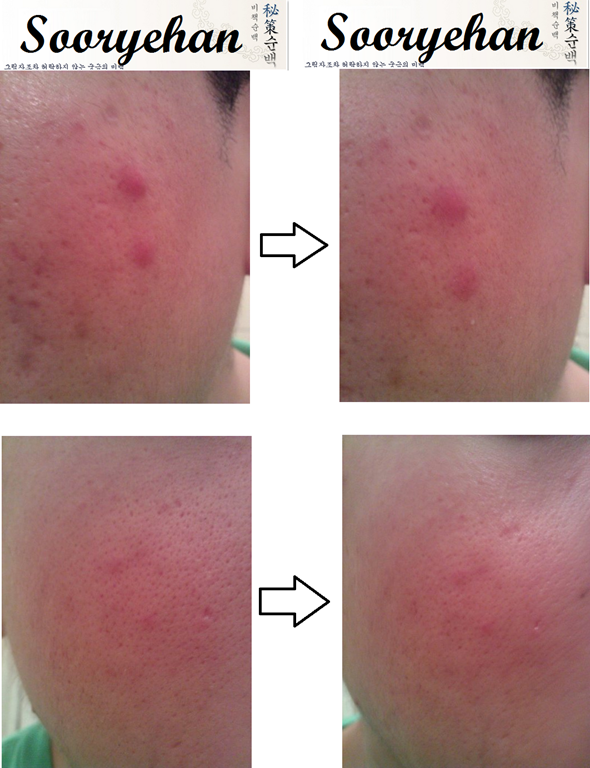 It absorbs fast and leaves the skin smooth. 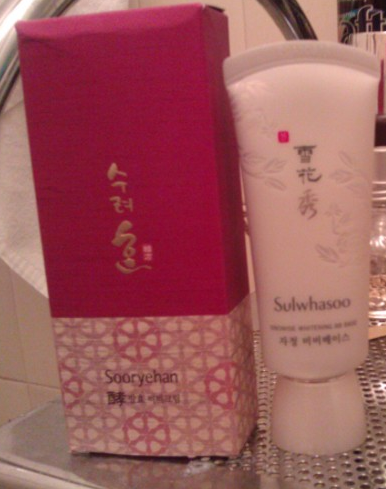 It definitely isn’t as moisturizing and rich as the Hanyul mask. 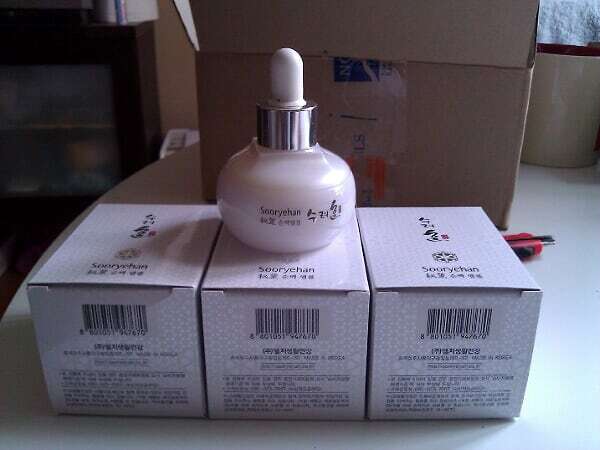 For those who wants to try out the new Sooryehan Bichaek Pure Whitening Ampoule before purchasing the full size – this is your rare chance. There are only 5 sets left… so click on the photo to be directed to the page. 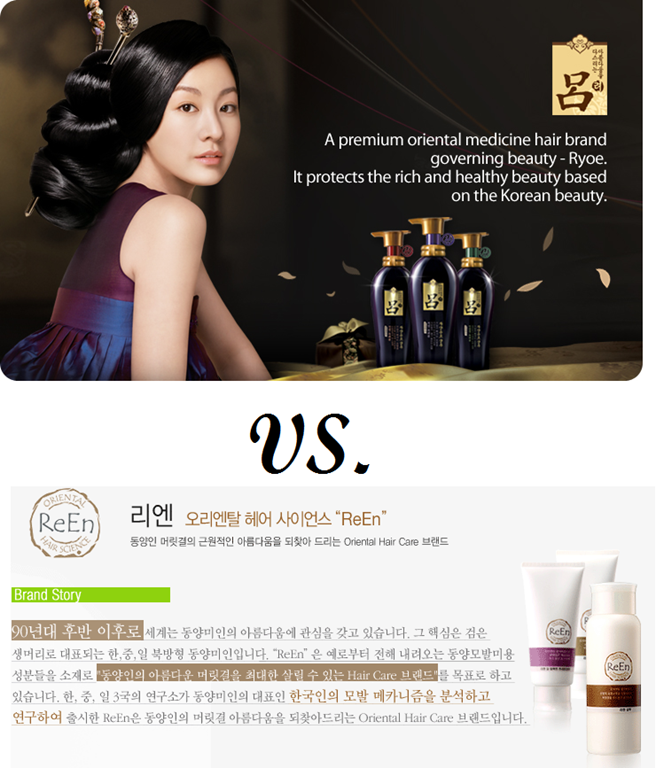 Please purchase the full size product if you like it. If you purchase from the seller, remember to type in ‘Recommended by https://hopeinablog.wordpress.com . !‘ in the comments section to obtain some free samples.